Australia almost shock Netherlands for leading 2 goals to 1. 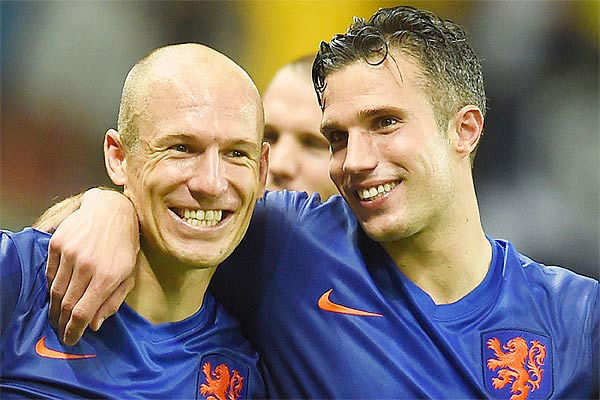 Arjen Robben scored for Netherland first but Tim Cahill beautiful volley equalized. In the second half the Socceros find themselves in front with perfect penalty execution. But Robin van Persie proves he is the right man to lead the flying dutchmen with scoring the equalizer from outside the penalty box. By the way former Arsenal captain rumored to be the future Manchester United captain next season under Louis van Gall, the new Man United manager. Number 21 from Netherland scored the winning goal with fierce strike outside penalty area.